Carolyn Raiman is an acupuncturist who has been in practice for over 11 years. She is a graduate of Georgetown University and completed her Diplomate in Acupuncture at the Eastern School of Acupuncture and Traditional Chinese Medicine. Carolyn is NCCAOM certified in acupuncture and is also licensed in the state of NJ. She has completed advanced training in women’s reproductive health and pain management. Carolyn has extensive training and hands-on experience in dealing with all aspects of women’s health–specifically infertility, pregnancy and gynecological issues. 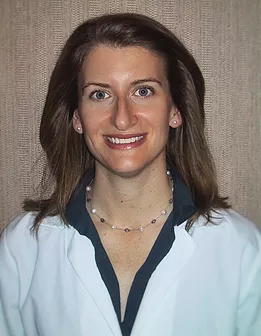 Currently, Carolyn is the Director of Acupuncture Services at RMA NJ in Basking Ridge where she helps couples restore balance while undergoing various reproductive therapies. She also sees patients in her own private practice at BeWell Morristown. Carolyn has also received extensive training on using acupuncture for pain management and employs the Dr. Tan Balance Method. As a former high school athlete and current weekend warrior, Carolyn is well-versed on treating sports injury and post-surgical rehab. Carolyn has also had success treating patients for digestive disorder, headaches and migraines, and emotional disorders. Carolyn is married with two young children. She uses her knowledge of Chinese medicine to promote health and wellness for her own family, and she would be honored to help you and your family.